Think 1st Convention was organised by The STRATFIRST INDIA In collaboration with Central University of Jammu and University of Jammu on the theme “Global Ranking in Higher Education: Issues and Challenges”. The focus of the convention was to outline strategies and improve world rankings of Indian institutions and develop the Indian Ranking Index that will become a benchmark in itself. The Vice Chancellors of Universities in northern India participated in the event. 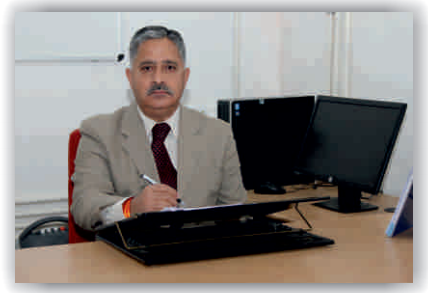 Prof. V. S. Chauhan, Chairman, National Assessment and Accreditation Council, Bangalore was Chief Guest on the occasion. Prof Chahuan deliberated upon different issues faced by Higher Education in India. He discussed at length why Indian Universities are not figuring among top 100 Universities of the World which is primarily on account of low gross enrolment ratio as compared to top 100 Universities of the world where gross enrolment ratio is above 50%. He impressed upon the audience that though we have a long way to achieve world ranking still we have to celebrate the success Indian Higher Education has achieved since independence. Prof. Amitabh Mattoo, Padam Shri, Former Vice Chancellor, University of Jammu while participating in the discussion presented the Vision 2030 Document that provide a roadmap to get 50 Indian institutions rank among the Global Best 500. He informed that the meet will be followed by hand-holding of select institutions to enable them to earn a place in the global ranking system. Prof. Mehraj-ud-din, Vice Chancellor, Central University of Kashmir emphasized on Digital learning while Prof. Manoj Dhar, Vice Chancellor, University of Jammu discussed at length about flipped learning. Prof. Talat Ahmed, Vice Chancellor, University of Kashmir briefed about role of leadership in transforming higher education landscape in India. He further discussed about resource mobilisation challenges which are seriously impeding the growth of state HEIs. EPSI (Education Promotion Society of India), QS Ranking, Boston Consulting, Microsoft, E&Y and PWC are among those who participated in the Convention.The programme was coordinated by Prof. Alka Sharma,Prof. Jaya Bhasin, Dr. Gowhar Rasool, Varun Abrol, Dr. Salil Seth, Dr. Bacha Babu, Dr. Shahid Mushtaq and Ms. Ginni Dogra under the overall supervision of Prof. Minakshi Kilam, Registrar, University of Jammu. Mr. Prikshat Kaul proposed vote of thanks. Ms. Nancy Jain conducted the proceeding of the programme.